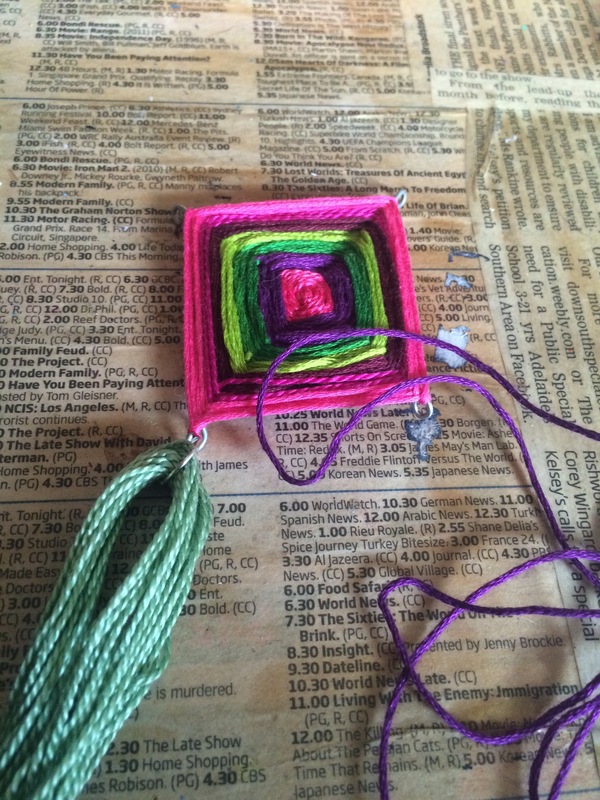 Since making the Ojo de Dios that I hung on my bathroom wall, I recently dug out all my jewellery making supplies (expect to see some jewellery projects soon). 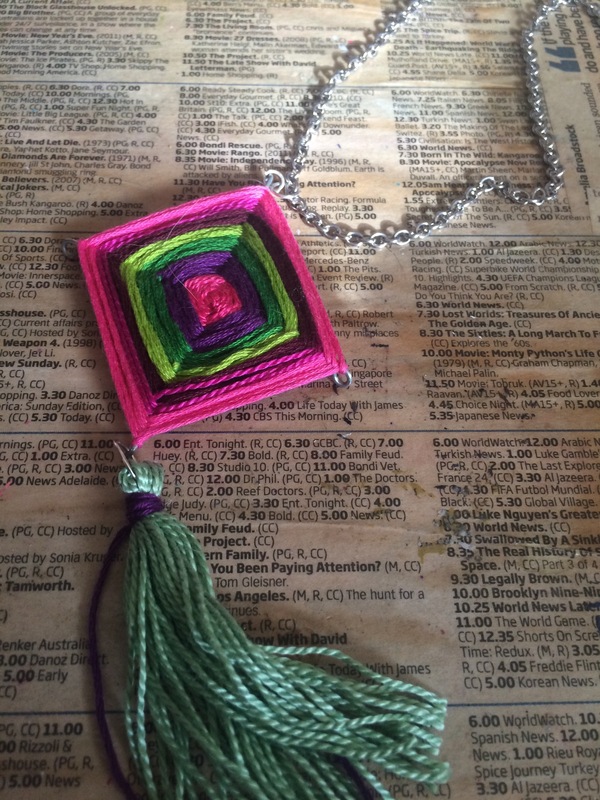 Flashbulb moment…..an Ojo de Dios necklace!!!! This is a really simple, easy make. 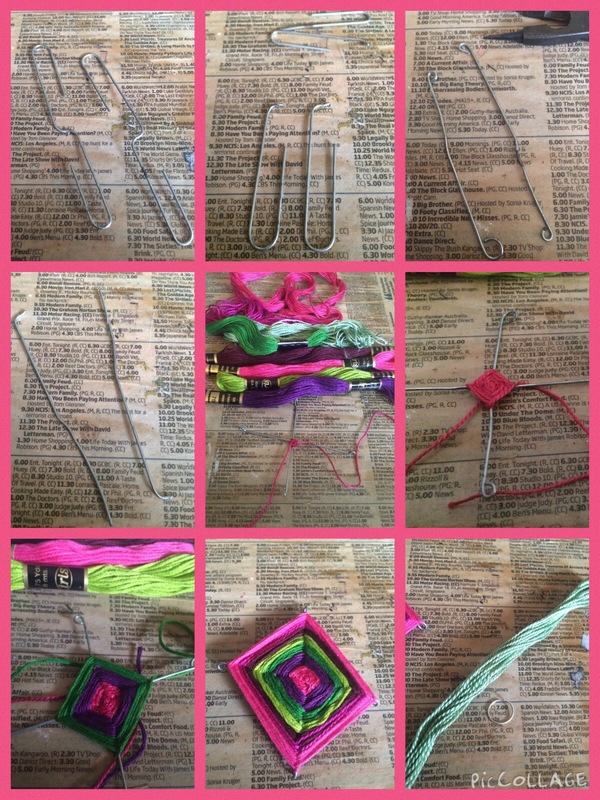 I started with a couple of large paper clips (the wire is stiffer than something like an eye pin or head pin traditionally used in beading), and some pretty embroidery threads. Once the paper clips were cut and bent, I just wove the threads around them exactly the same way I did the others. 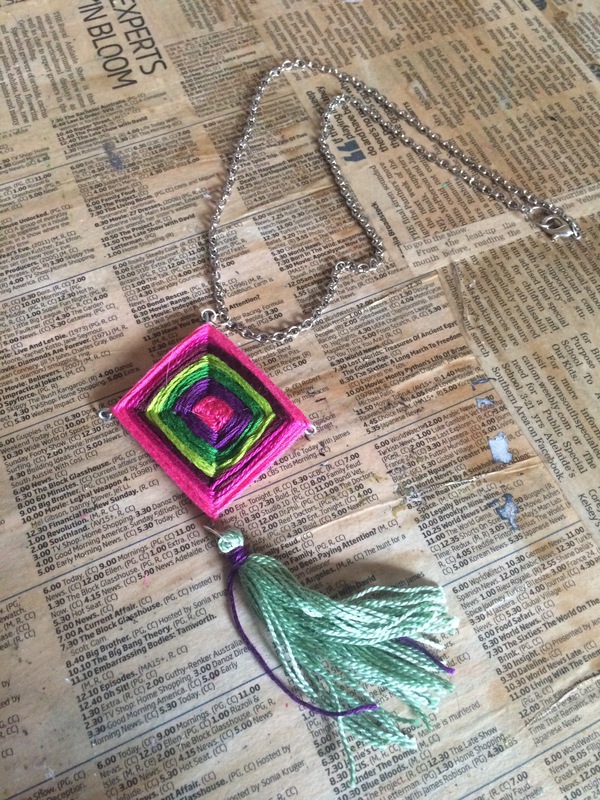 Finally, I added a tassel attached with a jump ring. To keep it the focus, I just hung it on a simple chain, rather than string some beads, although that could look good too. I love it! It’s a little bit Boho, a little bit ethnic, a little bit crafty, and very pretty. 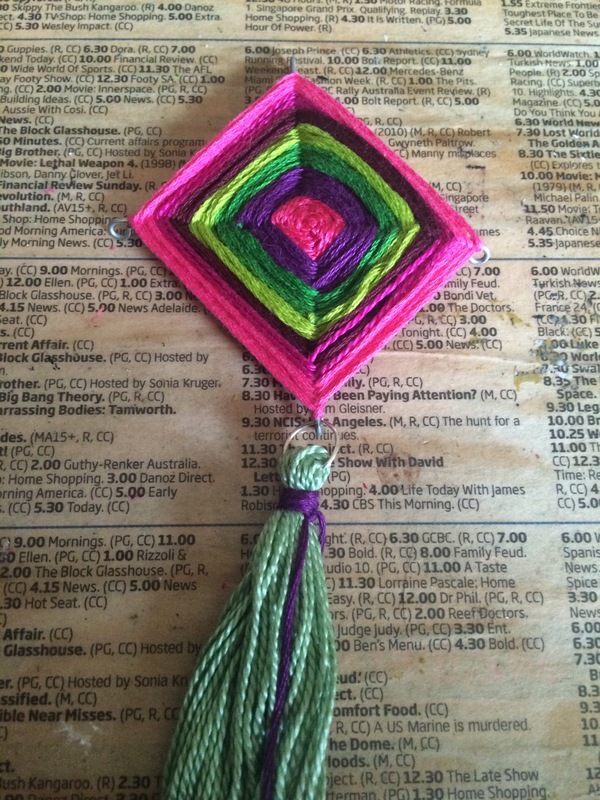 This entry was posted in Craft Projects, Jewellery DIY and tagged bohemian, boho, diy, embroidery thread, gods eye, jewellery, jewelry, necklace, ojo de dios, tassel, weaving, woven. Bookmark the permalink.